We did a lot of driving, trying to get further South closer to Queenstown. Just because we did a lot of driving, didn’t mean it wasn’t scenic. If anything, this was one of our more scenic drives. 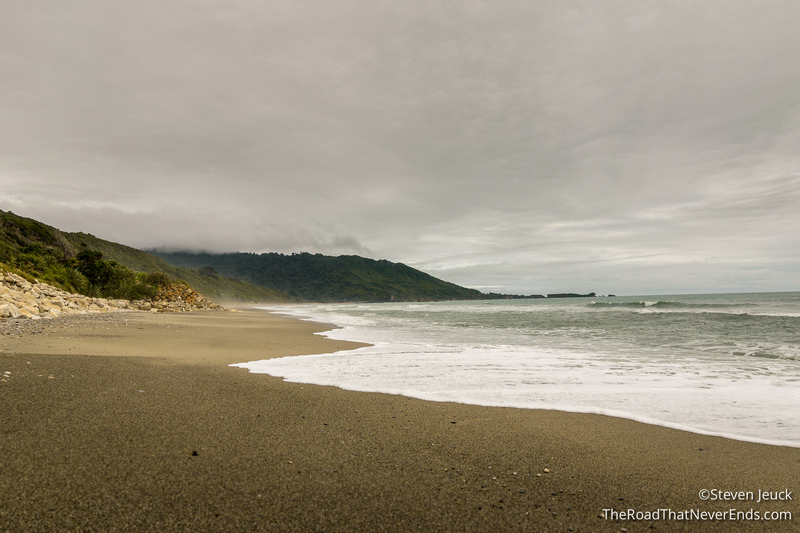 It took us a while to get from our campsite in Onamalutu to the coast, but the drive there took us through several forests with great views. Our only worry that day was whether the weather would hold out. It was cloudy all night, and throughout the day. We stopped for lunch just inland from the coast in a small town. We went to a stand and Steve ordered a hamburger. We didn’t realize the stand was all vegan, and the burger itself was a veggie burger – never in my life did I think Steve would ever eat a vegan burger – but he liked it! 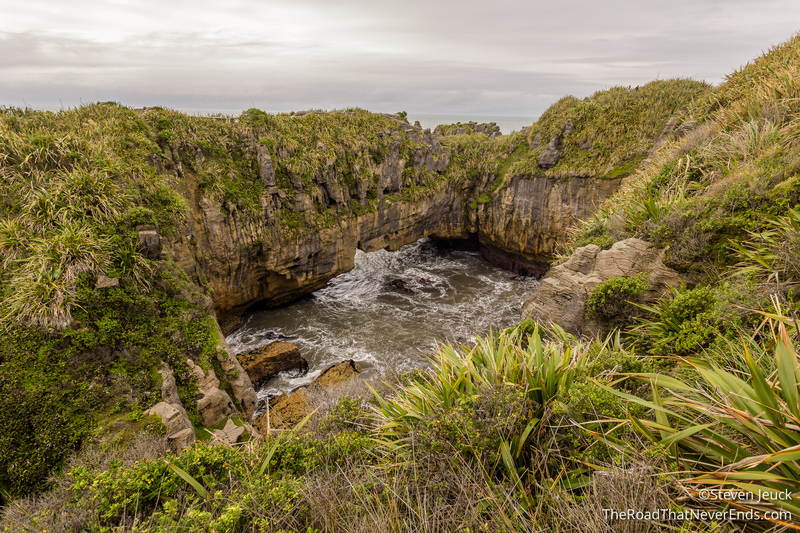 We got to Motorway 6 and drove down the coast through Paparoa National Park. Like driving in National Parks anywhere, there are several lookouts, small walks, long treks and scenic driving. We had decided not to do any long treks that day, as we wanted to “see it all” and get to the glaciers the next day. Well we wouldn’t have had a choice as rain from weeks prior had damaged some of their longer treks, resulting in upset hikers and overcrowded lookouts. The highway has netting fencing from the road leading to the beach, with gate access to the beach every few kilometers. We learned this is to protect blue penguins from venturing out to the road. They had a sign saying cars and dogs lead to the death of 60 penguins on this highway every year. This of course made me very sad but also determined to find the penguins on the beach. We never found them. The employee at the National Park said the colony has dwindled dramatically in the last decade, and now it was almost impossible to spot them from the road. 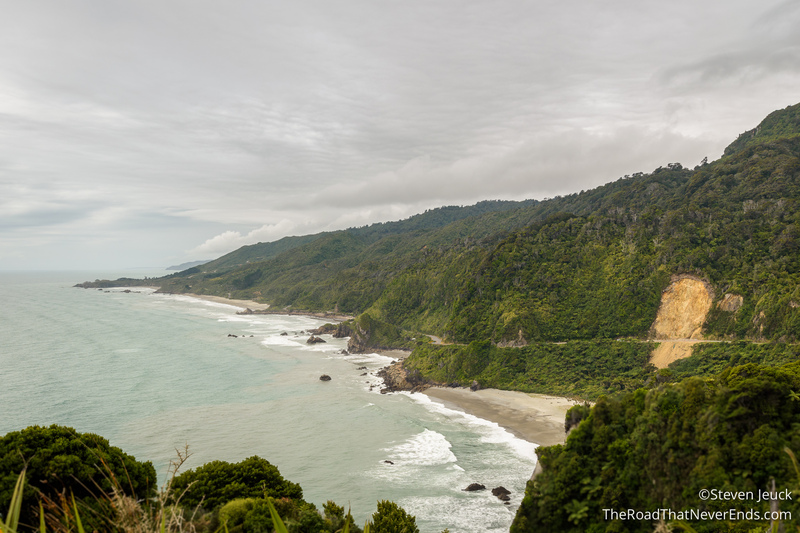 The coast along the highway is stunning – large cliffs with coves, different colors, and wide beaches. The main highlight of the day was seeing the Pancake Rocks & Blowholes. These are rocks that look similar to pancakes (duh) created from years of pressure on the hard and soft limestone. 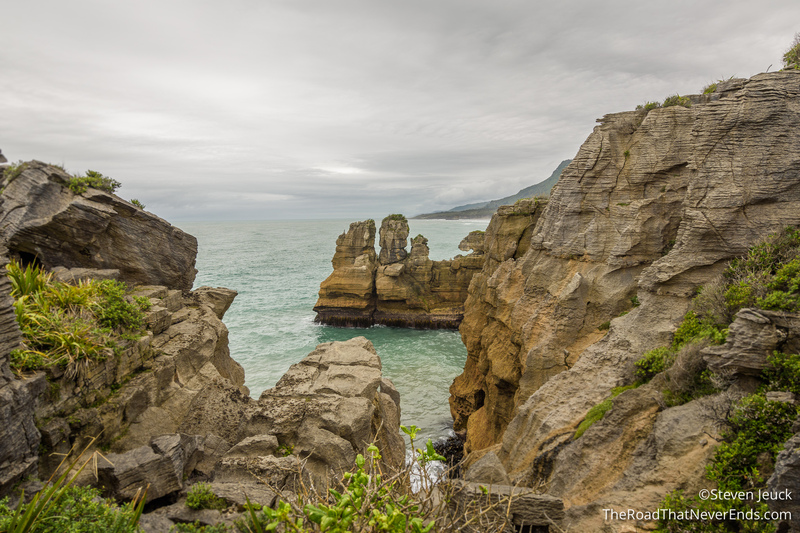 The 20-minute walk gets you up close to the rocks and water, providing spectacular views. We kept our eyes open for Petrels, but had no luck. In fact, we didn’t see any wildlife that the park claims you may be able to see – seals, whales, dolphins, etc. It just wasn’t our day. 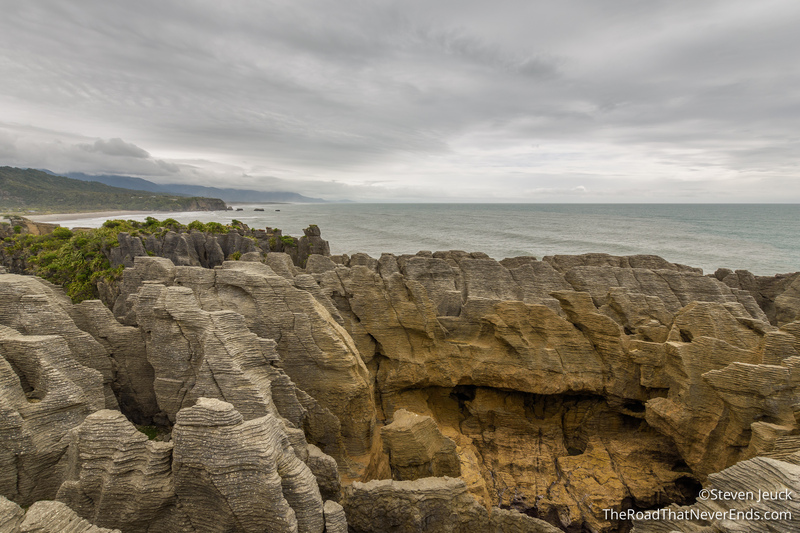 By the time we were done with Pancake Rocks, we decided we were tired, and wanted to get to camp, still another hour away. Stay tuned – we visited the glaciers! 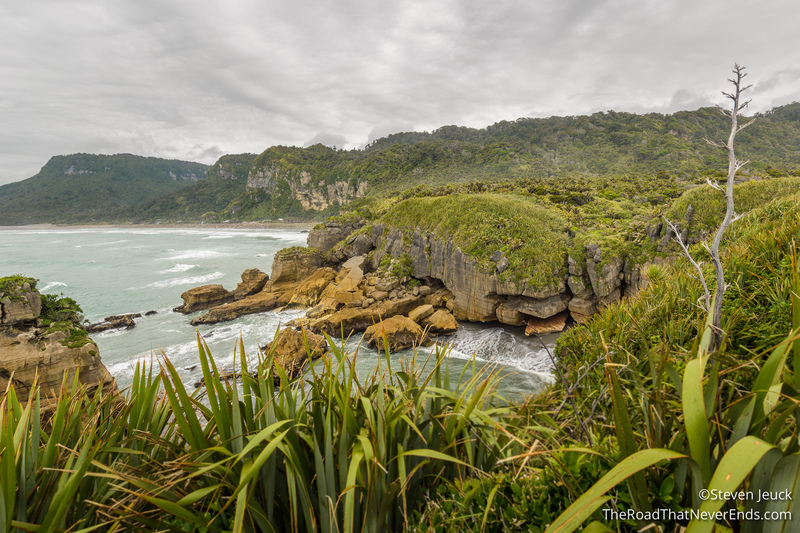 We did that drive….loved Pancake Rocks. We saw seals at Cape Foulwind, near Pancake Rocks. It is a beautiful drive. 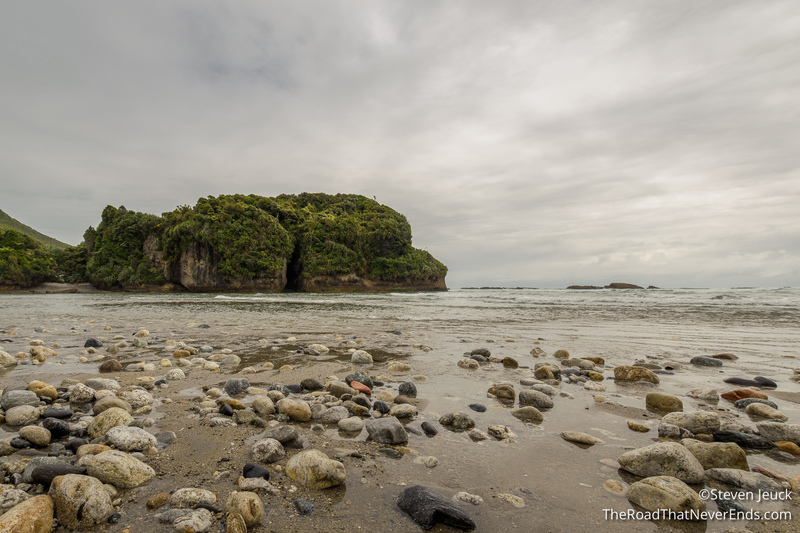 We camped at Hokatika, on the beach. Loved it there!